Coding and programming allows for individuals to show their creative side, but also embodies key, logical skills which need to be understood and mastered to create a successful programme. With technology advances racing ahead within societies, the need for programmers is going to be a key concept which individuals need to understand to be able to relate the apps, programmes and any further developments. The skills are not difficult to learn, but the issue in education is likely to be the confidence, understanding and skills of the teachers who will suddenly find coding or programming within their remit. Thanks to Shaun Wilson for suggesting this iPad App, which is provides a basic, and useful, concept of programming as it introduces sub routines and debugging nicely, ideal forprimary/elementary aged pupils. The app also is a fun puzzle game and a great way to train your brain. A.L.E.X. 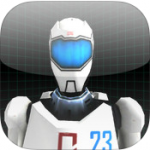 helps you think and plan logically as you program your robot A.L.E.X. with a sequence of commands to get through each level from start to finish. The app is free, providing 25 levels plus the ability to create your own puzzle. An in-app purchase (£0.69*) provides 35 additional levels; More block types to create your own puzzles; and 3 additional looks for A.L.E.X. 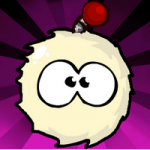 Light-bot is a programming puzzle game: a puzzle game that uses game mechanics that are firmly rooted in programming concepts. 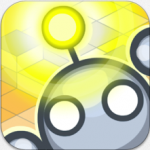 Free versions of the app are available (click here and here to view in the App Store), with limited progression permitted, but the full app lets players gain a practical understanding of basic control-flow concepts like procedures, loops, and conditionals, just by guiding a robot with commands to light up tiles and solve levels. 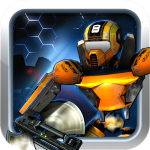 The app contains 40 levels and 20 challenge stars to complete as you progress through. For users of Android devices, the app is also available at the Google Play store, for the same £1.99 price – Click here to view in the Play Store. This app is great for learning about the fundamentals of coding, with the interface encouraging the user to gain a practical understanding of basic control-flow concepts like procedures, loops, and conditionals, just by guiding a robot with commands to light up tiles and solve levels. Click here to view the app in the Apple App Store. The training coding web application now has ventured into an Apple App, with this iPhone app which helps users to learn how to build amazing things online by programming – all for free. The app requires iOS 7.0 or later, and is optimised for iPhone 5. The app gets you started by introducing you to the basic concepts behind the apps on your phone and the websites you visit. It helps you learn to understand the basic structure of code when you see it. This app is a great support, and extension, to the web-based site mentioned earlier. This is certainly an app to keep an eye on, and we hope that they design one specifically for tablets. The app is free on the Apple App Store – Click here to view. Updated 22 January 2014 – Now available on iPad; Make a webpage from the app with your own photo, bio and more. Start learning HTML on the go. 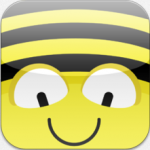 Click here to view Bee-Bot Pyramid (69p) in the Apple App Store. 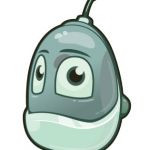 Codea has been described as, ”…kind of like the Garage Band of coding”, and was the programme behind Cargo-Bot mentioned above. 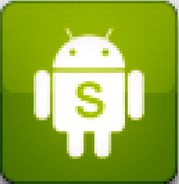 The app is built on the Lua programming language. A simple, elegant language that doesn’t rely too much on symbols — a perfect match for iPad. The app lets you create games and simulations — or just about any visual idea you have. 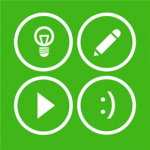 Turn thoughts into interactive creations that make use of iPad features like Multi-Touch and the accelerometer. 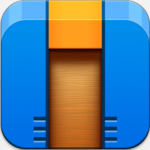 A great, premium app that supports the creativity of programming. 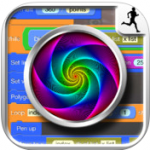 This versatile app is certainly aimed at the more advanced coder/programmer and certainly could be used with the more confident pupils, encouraging their programming creativity. 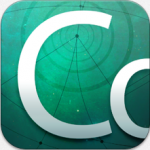 The app is priced £6.99 on the Apple App Store – Click here to view. Dynamic ART is a graphical programming environment on iPad. It’s easy to create amazing artwork and animations with Dynamic ARTLite. The app is £1.99 on the Apple App Store – Click here to view. 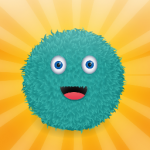 Kodable is an educational iPad game offering a child-friendly introduction to programming concepts and problem solving. For kids ages 5 and up, and tools for grown-ups too! 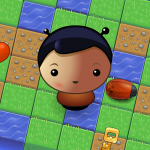 Kodable Pro comes with 3 worlds and 90 levels of programmable fun. A free version (with in-app purchases) is also available by clicking here. 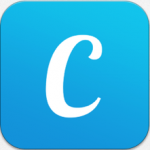 The app is £4.99* on the Apple App Store - Click here to view. 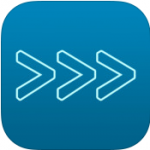 The app is £2.99* on the Apple App Store – Click here to view. 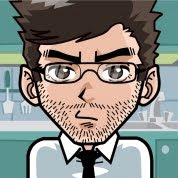 Ian comments, “ I’ve connected from iPad to RaspberryPi and interacted with MinecraftPi using it”, so the potential of this app is clear to see.